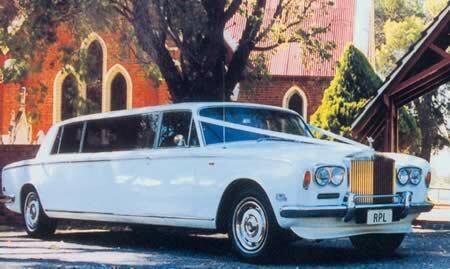 Now you can experience the plush elegance of Perth’s ONLY stretch white Rolls Royce on your special day. What could be better than arriving in a Rolls Royce on your special day when sheer opulence matters? 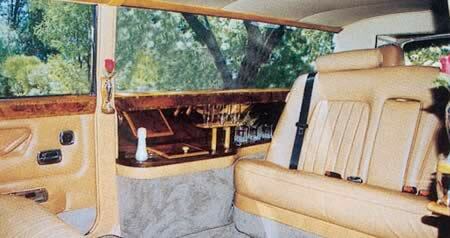 Enjoy the air-conditioned comfort on leather lounge seating with hand crafted interior. 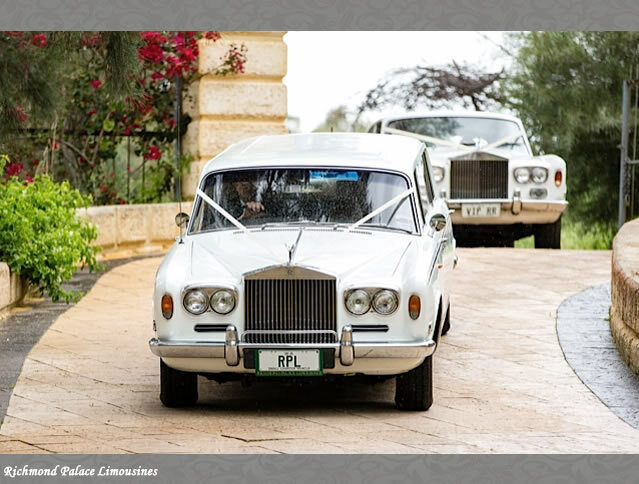 Richmond Palace Limousines are committed to providing you with an exclusive Rolls Royce wedding car transport service second to none available in Perth. Richmond Palace Limousines is a premium wedding car hire company specialising in Perth’s finest Rolls Royce Limousines. Our fleet comprises 1 x white 4, 7, 11 and 12 seater Rolls Royce’s stretch limousines and 1 x white Royal Daimler 6 passenger Limousine.